There are some plants that are just a pain to grow, rather like a new born baby they need a high level of input to look after them. 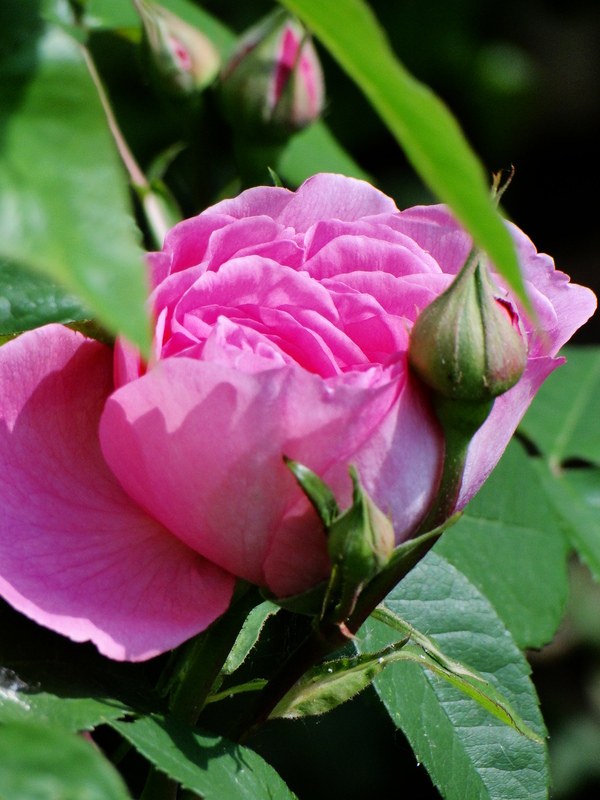 In my own garden I’m thinking roses in particular, not only is there the appropriate pruning regime for that particular rose but also the feeding, the deadheading, the watering and that’s before I even mention the list of pests and diseases just waiting to attack them. Then there are plants such as delphiniums and hostas which are mauled by slugs. Stunning magnolias which you wait all year for to flower and then just when they are looking at their best there is a frost, which turns all those petals to brown mush and oriental poppies whose flowers can be destroyed by a heavy shower. I still grow these plants, well apart from the delphiniums there really was no point giving the slugs a slap up meal every spring, because for all the hard work they are glamorous and beautiful. Fortunately though there are some plants out there that just get on and do their thing without any fuss or attention. These are often not the showiest, most dramatic of plants but they are in my opinion the unsung heroes. I’m thinking of plants such as Alchemilla mollis. I know a lot of people who think of it as a weed. Yes it does self seed but I’ve found the young plants easy enough to remove. I love its crinkly fresh green foliage as it starts to grow in early spring and once fully unfurled the leaves capture raindrops, where they sit like globules of mercury. The lime green, fading to yellow, flowers are not dramatic but give the garden a zing and contrast well with so many other plants. I love using the flowers in my cut flower arrangements where they have a good vase life and the foliage is a useful filler too. By July the leaves and flowers of alchemilla are starting to look tired but if you cut them back fairly hard, in several weeks you will have plenty of new, fresh green growth and with a mild autumn, a second flush of flowers. 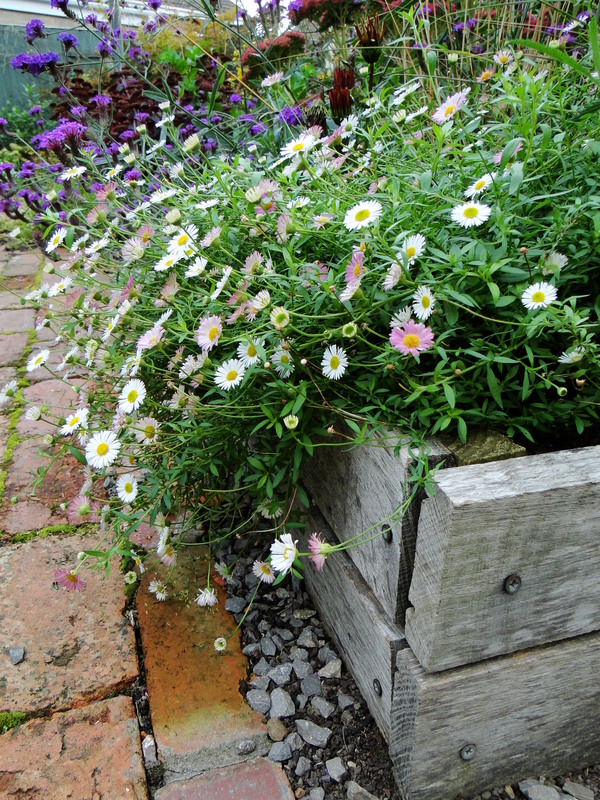 Another favourite of mine is erigeron or Mexican fleabane. It’s a plant I remember from my childhood holidays in Cornwall growing in rocky crevices. These plants always looked a bit scrawny in such poor conditions but grown in richer garden soil it will make larger, greener clumps that are covered in daisy like flowers all summer long. The only care erigeron needs is a cut back in mid spring. Sedums are a must in any garden. From as early as February their thick, fleshy rosettes of leaves push through, forming clumps as the spring and summer progresses. From July they start to flower in a range of pinks, reds and white and are adored by butterflies, bees and hoverflies. Their flowers fade in mid autumn but as they die and dry out they leave seedheads which if left over winter look beautiful rimed with frost. A quick trim back of these stems in late spring is enough to keep these plants looking good. Geraniums are a large group of plants and they are an excellent easy going addition to any garden, from tiny alpine plants to big and blousy clumps they will tolerate a variety of conditions. 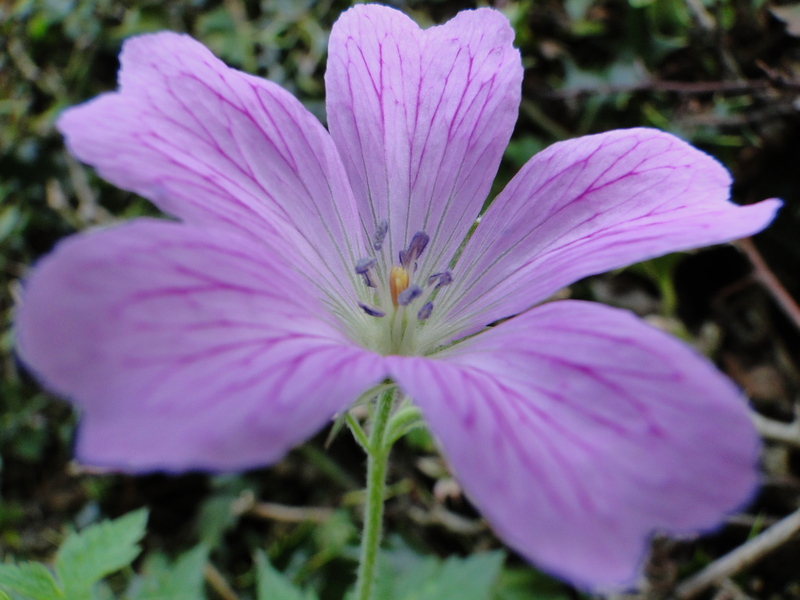 Geranium phaeum is an early flowerer but most will bloom from May until July. 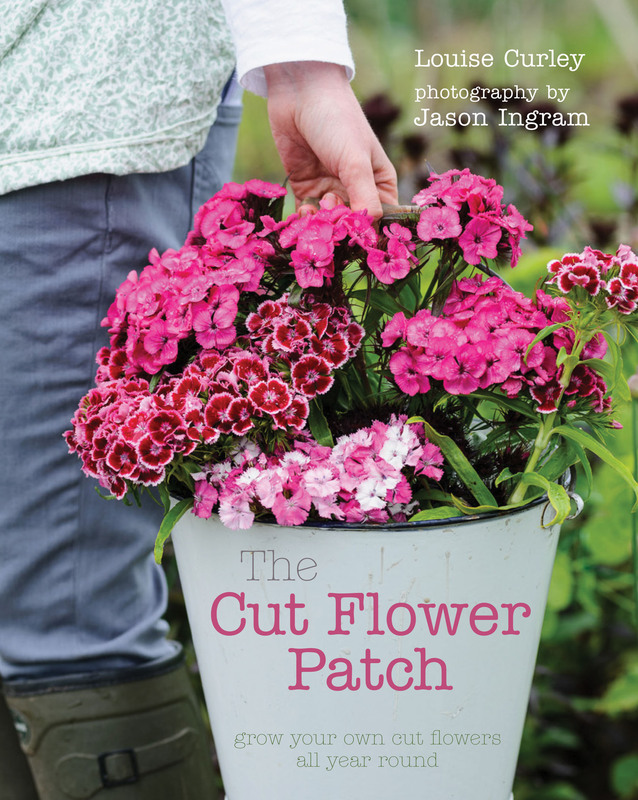 To get a second flush of flowers be brave and cut the plant back down to the ground. This may seem extreme but you will be rewarded with fresh leaves and more flowers. And finally, valerian or centranthus is another unsung hero in my own garden. It too, reminds me of holidays in Cornwall where it can be found growing in fairly inhospitable places, virtually growing in sand and being hit by salt-laden winds. It will grow more lush in garden soil producing good sized clumps with either reddish pink or white flowers, I personally prefer the pink. Leaves start to appear in late February with flowers appearing from late May and given a sunny spot it will flower all summer long. It does benefit form a little deadheading and this helps to restrict it self sowing but is otherwise unfussy. All these plants are untroubled by pests and diseases, left untouched by slugs and are easily propagated, so are great for filling gardens on a budget. 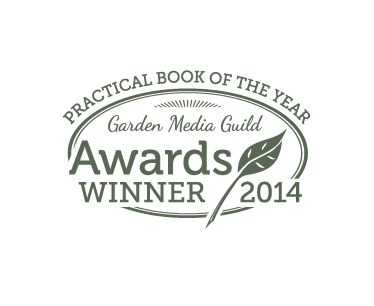 So lets hear it for the unsung heroes of our gardens and be grateful that not all plants are as needy as roses! I loved to hear about the plants you think deserve a bit more attention. I think I would add spring bulbs to the list as they come up year after year with no attention at all. As for Valerian, I know the insects love it but I feel it looks a bit like pink cauliflower. I agree with all your choices, but would like to add Verbena bonariensis, love the way it forms a see through screen, so valuable for the bees and butterflies, would hate to be without it. Another that seeds itself gently round the garden here is Malva moschata alba, wish I had more, it is so welcome wherever I find it. I agree with you about geraniums, such an easy plant which will just flower and flower without any help at all. I love lavender, that’s another one which flowers well and brings in the beneficial insects. I don’t bother with the fussy plants, they just don’t do here at 600 ft above sea level. My garden is full with the plants you mention. Lady’s Mantle, Valerian, perennial Geraniums all do well here. Phlox, Verbena Bonariensis, Anemones and Lilies also do well. The Lilies are in a sheltered raised bed though. 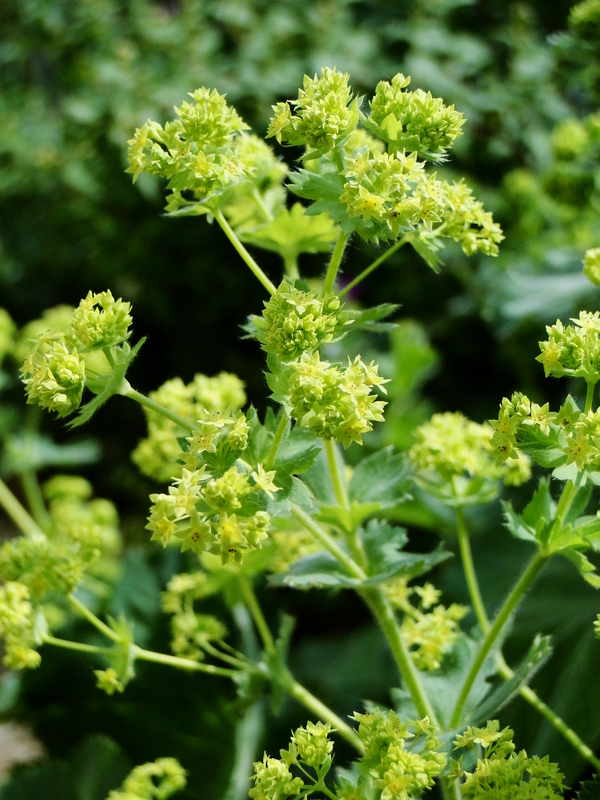 It intrigues me to see Lady’s Mantle (Alchemilla mollis) on your list of reliable plants because I’m babying mine along hoping it will survive. Sedum is definitely a winner for me as long as it’s got sun and good drainage. Geraniums are trouble free here too. I have to agree with the addition of spring bulbs. So many of them just keep getting better every year. Tulips are a notable exception in my climate — they’re annual and the deer think they’re yummy. Blanket flower (Gallairdia x grandiflora), false sunflower (Heliopsis helianthoides) and bee balm (Monarda didyma) are summer favorites for me although all three can spread vigorously. I’m also quite fond of ornamental grasses. My magnificent rhododendrons never disappoint. And if I need something for an indoor arrangement, I grab rhodie flowers. Three or four cut short on the stem in a pretty bowl look fab on the dinner table. Hi, I like geraniums, too. Early in Spring when other flowers of my Northern garden do not bloom, geraniums are blooming all May and June. I would add Euphorbia robbiae which is evergreen and currently awash with lime green flowers which will show for 8 to 10 weeks. It’s shade tolerant and sits happily at the base of my beech hedge.. And the grass Luzula nivea which is also evergreen and shade tolerant. It is non-invasive and puts out brown flowers in late spring and slowly inches round the garden but can be pulled out if too pushy..
That lovely little erigeron has survived at least one name change and years of himself’s malicious attempts to eradicate it so definitely an unsung hero or heroine. Thanks everyone for their own unsung heroes. I love Verbena bonariensis although it doesn’t always survive the winter here in Wales which is why it didn’t make my list. I keep meaning to get some Euphorbia, I’ve got some tricky places where I’m sure it would be perfect. I love lavender but it struggles in the wet conditions here even if I add plenty of grit to the soil. Although I’m tempted to get some more lavender. I just love being able to pick my own for the house. I’ve never really thought about rhododendrons as cut flowers before. Nepeta ‘Six Hills Giant’ is far better to plant than Lavender esp where damp conditions are an issue! I love Nepeta but there are far to many cats in my neighbourhood and I have enough problems with them using my garden as a litter tray to grow one of their favourite plants. My parents had nepeta and it was forever being flattened by the neighbours’ cats rolling around on it. It’s a shame because I agree it is such a great plant and it just keeps on flowering. What a wonderful garden blog! So glad I found you. So much for cleaning my house today! Hi Moss and Ivy, Thank you for the compliment. 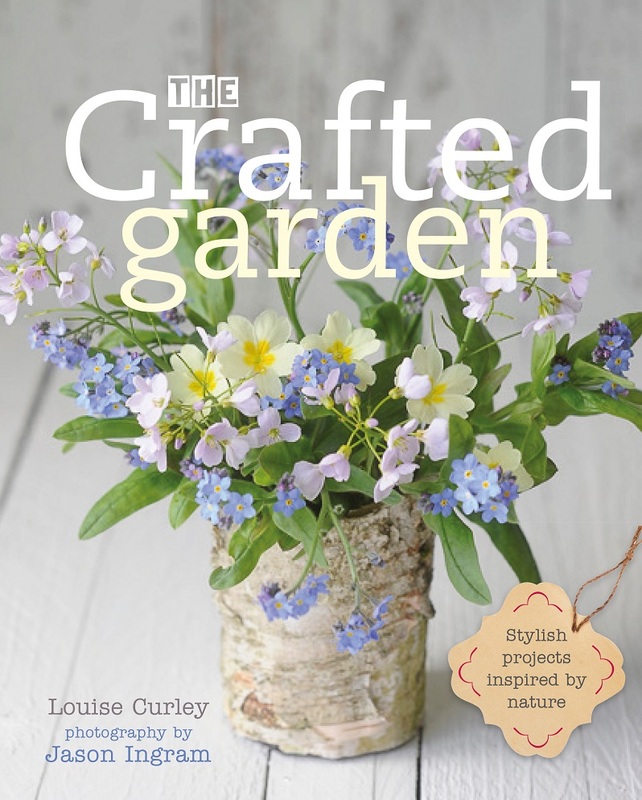 There should definitely be less house work and more gardening and reading about gardening! I second an earlier comment for Monarda, as it smells so good. I often find myself fighting with the bees over who gets to stick their noses in first. I’ve always loved Coreopsis grandiflora as well, very low maintenance and flowers all summer long. I love Monarda, too and the bees certainly do love it, although I am a little worried about it’s apparent desire to colonise my whole flower bed, it does seem quite rampant. I grow all these and like others have fairly challenging conditions (high, thin, stony soil) so can’t grow anything that needs a lot of molly coddle and richness. I also find that day lillies grow well for me with very little attention, not the big improved American ones but the smaller yellow flowered ones, and hellebores!